The dermapen, also known as microneedling, has quickly become one of the most popular, sought-after treatments. Opting to use microneedling to fight the signs of ageing rather than booking surgical alternatives has also become huge in the celebrity world. Stars such as the Kardashians and Jennifer Aniston have all commented on the exceptional results they have received through dermapen treatments. We are thrilled to have recently added microneedling / dermapen to our ever-growing list of services available at our beauty clinic in Milton Keynes. 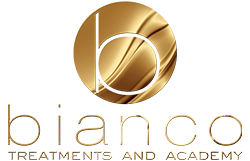 Juliana visited Bianco in the hope that our specialists would be able to recommend an effective treatment that would help to visibly reduce the signs of ageing. Not only was Juliana hoping to notice a reduction in wrinkles and fine lines, but also was searching for a treatment which would help the skin to become firmer. During Juliana’s consultation, our beauty specialists instantly recommended that she considered the idea of the dermapen as even after one treatment, there would be a visible difference. They explained that as the dermapen utilises tiny needles on the end of a hand-held device, it would help to stimulate the natural reproduction of collagen. Collagen is responsible for restoring the elasticity in the skin and begins to smooths out wrinkles and fine lines. Not only is microneedling ideal for reducing fine lines and wrinkles, but also helps cosmetic products such as moisturisers and serums to absorb deeper into the skin. Therefore, the skin will become more nourished. Juliana showed immediate interested and booked in for one dermapen session to see how she got on. Straight after the treatment, the skin is red and may feel tender, however, this will subside in a few days. The treatment was incredibly successful, and Juliana was pleased with her results, we look forward to seeing her again soon!
" Honestly, I am so so pleased with the Dermapen; it really works. The redness took a bit longer to ease but was gone by Thursday. On Sunday, just after the procedure, there was a little discomfort, not something major, just like you’ve got a healing fresh wound, but totally worth it. My forehead looks so much firmer and tighter. There are wrinkles but they are definitely smaller, not as deep as they were. My cheeks look a lot more lifted, the edges around the mouth and chin are also smaller. Both wrinkles and fine lines are reducing even more by the day, I really can see the changes. I will most definitely repeat this treatment, maybe in two months time. I would really recommend this to other clients. "